Had a blast on the show today which is now in full HD! Yippee, long time listeners/viewers will know what a big deal this is especially for some reason my bandwidth, I have been referred to as the 8 Bit Kid! But not today, no! Nick, editor of Sonic State has been working really hard to try and improve the quality of the show and it’s really coming on well now. For those of you that don’t know of Sonic Talk or Sonic State, it is one of the most important music technology websites out there. In fact as a website it has been around since 1995 which in web terms is ancient! I believe they had a news group from 1993 or even earlier, needless to say they know a thing or two about the world of music technology. Nick and Andy in my opinion, make the best reviews of new music equipment out there and often have world exclusives. They also cover the major trade shows like NAMM or Music Messe and again usually are amongst the very first with the big news stories. Having worked with them I appreciate the huge amount of work they put in and quite often it’s a thankless task. 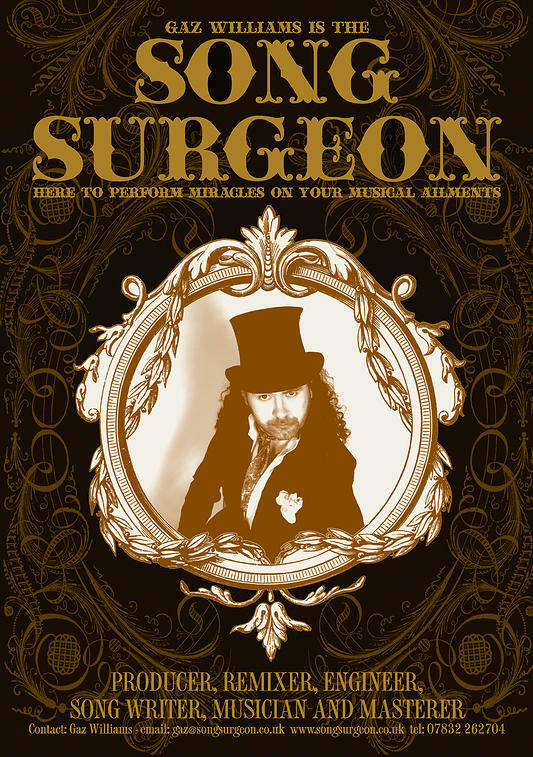 I had listened to the podcast regularly before I made my first appearance on the show back in June 2010. I was so chuffed to be asked to participate and have enjoyed being involved very much. In fact here is a link to that first appearance. OP-1 the most curious music gadget of them all! 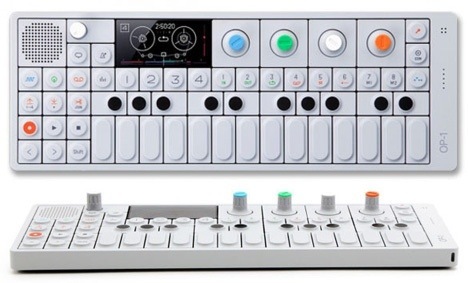 Aah, the Teenage Engineering OP-1. What a thing of wonder! It is the most peculiar little electronic music device I have ever encountered bar none! I have been the proud owner of one for a few months now and I’d like to share a few stories about it with you if you don’t mind? This Swedish device first came on the global radar back in 2009 or 2010 and we discussed it on Sonic Talk (on Sonicstate.com), the weekly podcast I usually partake in, keeping track of the developments and even wondering if it would remain ‘vapourware’ as in never existing as a consumer product. But in August 2011, Nick at Sonicstate managed to get an early one in for review and I was fortunate to get a bit of a hands on. 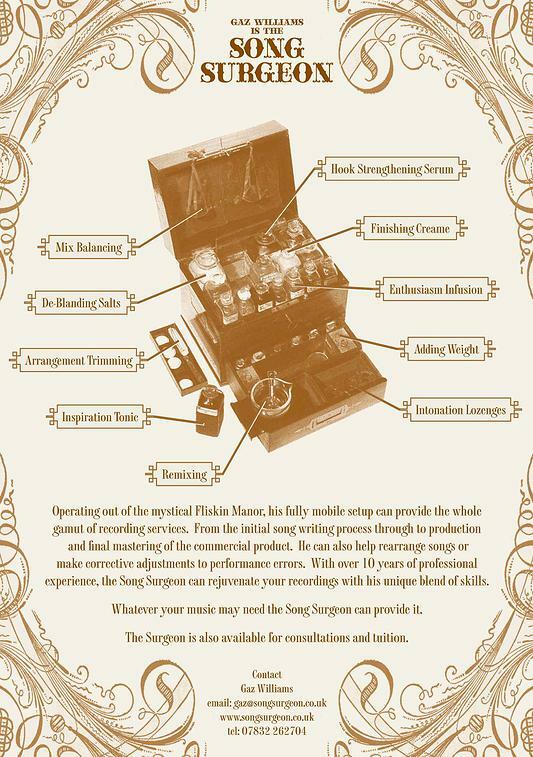 I was fascinated but felt that since I’d recently bought an iPad ostensibly for the same job – mobile music making, I’d give it a miss plus it’s extremely high price was a a turn off. €799 seemed like a ridiculous sum for a tiny little music toy. Fast forward to April this year and during a stop over at Cologne on the Karl Hyde European tour, we popped into the massive Music Store. Sure enough in their music tech department they had one of these tiny miracles in a fancy wall display, I immediately got down to some serious twiddle with it, Karl being bemused but sagely talking me out of the impulse buy. But what had changed? Why was I now ready to shed some serious wedge on one? Firstly, the iPad, as good as it is just sometimes doesn’t inspire, I simply get too distracted to stay within one piece of software, even grade A titles like Samplr, I just end up going online or switching apps. This is a terrible bourgeois guilt I have but the plethora or riches on the iPad often leads me to a kind of paralytic state of too much choice. The OP -1 just seems to be a little more restricted, focused even. Secondly, I recently read Jean Michel Jarre’s top ten synths of all time and he included it there. That really hit home, made me think about it differently. 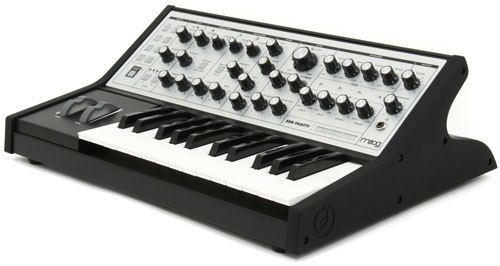 Moog Sub Phatty – even though still retaining the dated, cringe inducing ‘street’ epithet Phatty, this little gem from synth pioneers Moog looked like just the ticket – a knob laden true analogue synth with interesting filter drive controls, modern connectivity with its USB port plus a whole raft of useful and well thought out ideas. Nick’s Sonicstate review is here. 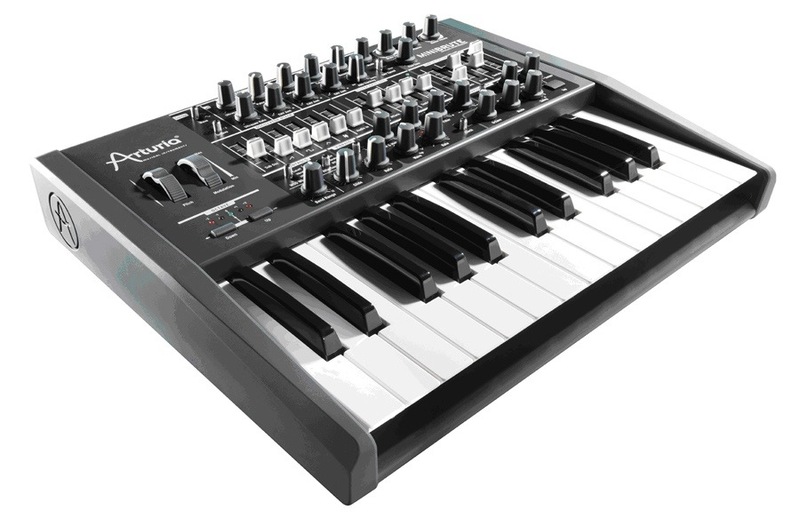 Arturia MiniBrute – although launched 2012, it really became widely available this year. Like the Sub Phatty, the MiniBrute is an all analogue mono synth with sub oscillators for beefyness. Unlike the Phatty however is the almost agricultural return to a preset less structure, what you see is what you get, no memories just plain and simple synthesis. Eyebrows were raised by the somewhat peculiar Steiner Parker filter which sonically quite different from the Moog ladder filter that one might expect to be included on a product like this. Bravo Arturia for creating something a bit different. Again, here is Nick’s review. Korg mini MS20 – This one took us all by surprise somewhat when it was launched at Winter NAMM this year. A 3/4 scale replica of the venerable 70’s Korg legend. True analogue but also like the aforementioned Moog and Arturia synths, replete with a midi USB socket. Patch leads and mini keys are a funny match but Korg managed to make this little gem sound virtually identical to its classic forebearer. Nick’s review is here. 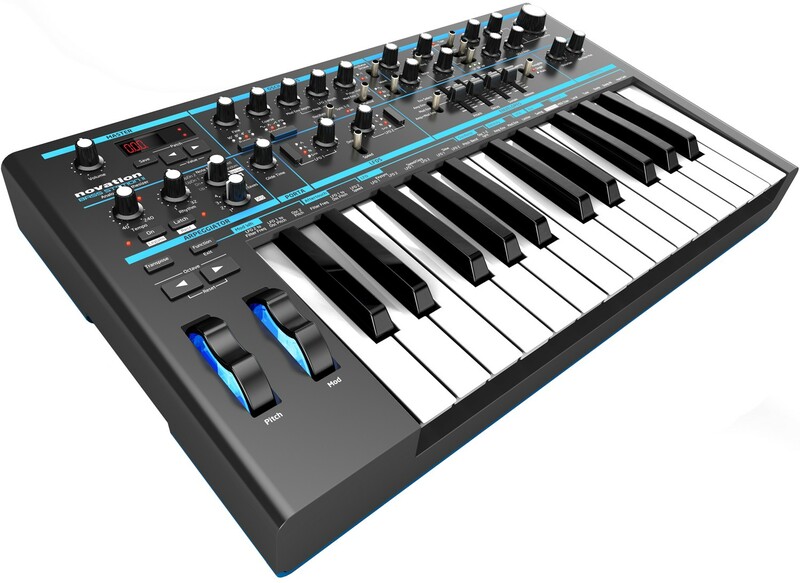 Novation Bass Station 2 – The British synth gurus new all analogue monosynth with its switchable filter from classic to acid! I was fortunate to have a go on an early one of these at Barcelona’s Sonar festival back in June. A very nice synth that I reckon will do well for Novation. Apart from these four mentioned there were other class acts released this year for my consideration. The unexpected (and still very tempting) Stylophone S2, the newly released Waldorf analogue module the Pulse 2 and the exciting Dave Smith Prophet 12. So with all these quality instruments, why oh why did the two year old tiny digital OP-1 make the grade? Oh and what the blooming hell is it anyway? 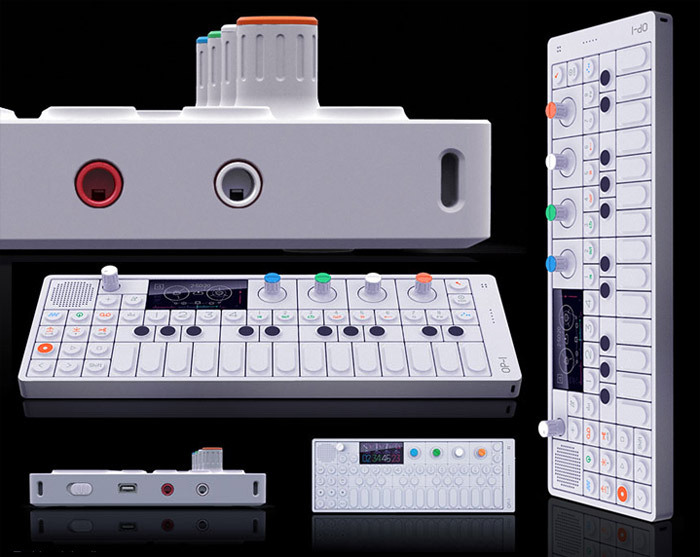 In a nutshell, the OP-1 is a self contained synth workstation/groovebox. It has a multitude of different synth engines and also can function as a drum machine. It has a sampler built in and can sample from its line in, it’s surprisingly good built in mic, resample itself or from a built in fm radio! It has cute graphics for the different modes ranging from a pair of apes, a 3D view from a racing car, a boxer and a psychedelic cow! These little touches lend the OP-1 a toy like appearance but that is slightly misleading as it can be a very powerful professional instrument. One of its most compelling features is a four track (simulated) reel to reel recorder which can also be put to use as a looper (although can be glitchy). The OP-1 is resolutely a mono timbral affair though so utilising the four track is the only way to get layers out of it. It does have midi functionality through its USB connection and I have had much fun connecting it to my iPad and using it both as a midi controller and as a sound module. This can be fun as one of the downsides of this little wünderkind is the lack of velocity sensitivity or pressure on its keyboard. Using the iPad I have been able to access the sounds of the OP-1 with some expressive midi control apps like Soundprism Pro and Thumbjam. The OP-1 is a design classic, make no mistake. It has been heavily influenced by a peculiar mix – Casio VL Tone mini keyboards of the early 80’s, Nintendo Game and Watches (graphically), Apple Macbook’s Unibody construction and various Roland drum machines and grooveboxes. It is really small ( 282x102x13.5mm) very light (580 grams) and has a built in lithium battery that gives it something like 16 hours use on a single charge. I recently put this to the test during a long haul flight from the UK to Australia and after using it extensively, I still had over half the battery remaining. Since it’s 2011 release, there have been several significant OS releases for it too adding new synths and FX’s plus some operational tweaks too. Nick’s Sonic State review typically was one of the first to surface so therefore is a bit dated as it has come on quite a bit. Probably the thing that is most striking about using the OP-1 is that you make music you simply wouldn’t have created on any thing else. The peculiar workflow means that due to NO undo, you have to plan and be a bit more careful, approach it with a bit more reverence than you would computer based music software. The virtual reel to reel is six minutes long and you can make mix downs onto a virtual album, side A and side B. You have to be careful though and not do what I did, finish a six minute mix, make an album mix, delete the multitrack so I can start a new piece but then blooming well press record on the mix down page instead of play and wipe the whole thing instantly! I tell the tale here on a Sonic talk podcast. One of the glorious things about the internet is discovering new talents and interesting people. Cuckoo is one such find and he is the greatest proponent of the OP-1 I have yet discovered. He has made a load of useful you tube videos like this one here showcasing how to create drumkits on the OP-1. He also makes great presets which he gives away for free. He is a regular contributor to the fan site OhPeeWon.com. This forum is a great place to discover more about the OP-1 and is a friendly place populated by real nutters. My father sadly passed away a few weeks back which was a devastating thing for our family. A few days after his passing, my mother and me were glumly on the sofa as the midnight hour approached. We were both feeling thoroughly depressed and lacking motivation. 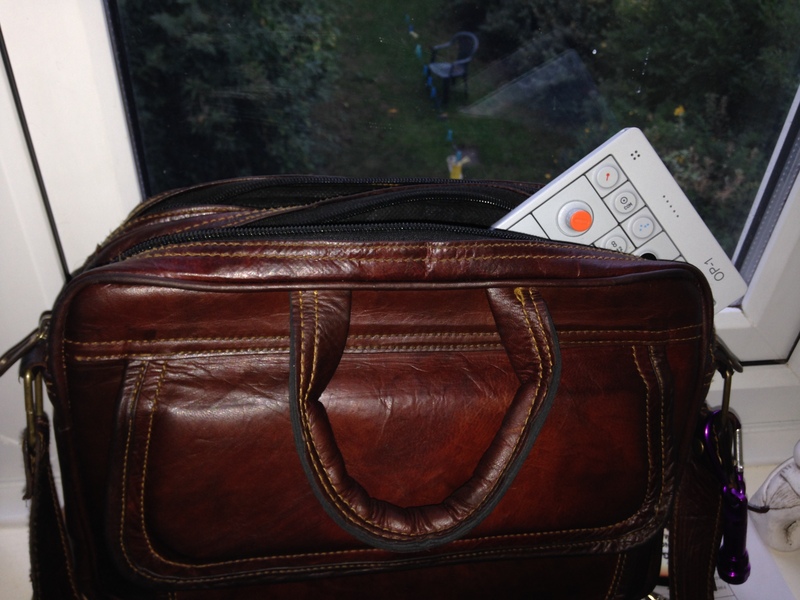 I then said to my mum “umm there is something you could help me with…” and proceeded to explain my Op-1 travel dilemma. 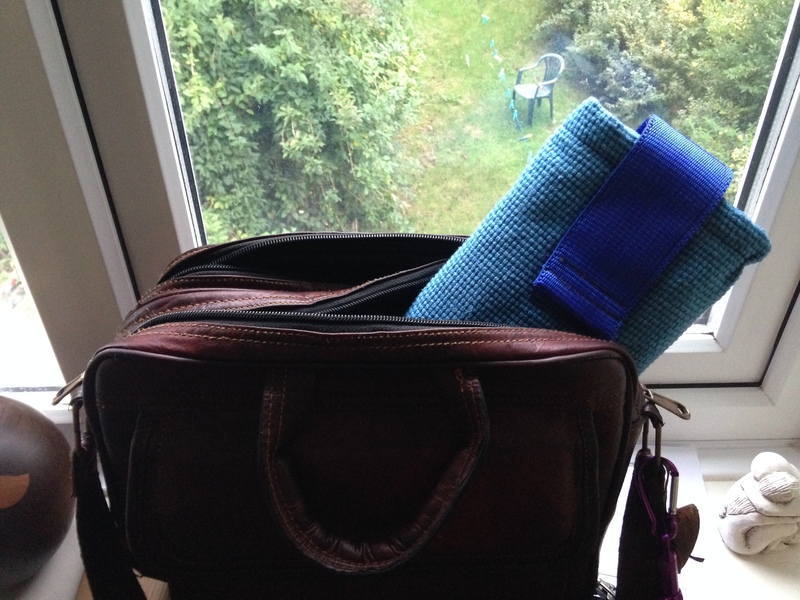 You see, I have a nice leather bag which I use as my carry on luggage when I fly and other such things and the Op-1 fits quite nicely in there but without sufficient protection. I had been wrapping it up in bubble wrap which is hardly a dignified way to transport my mini marvel. 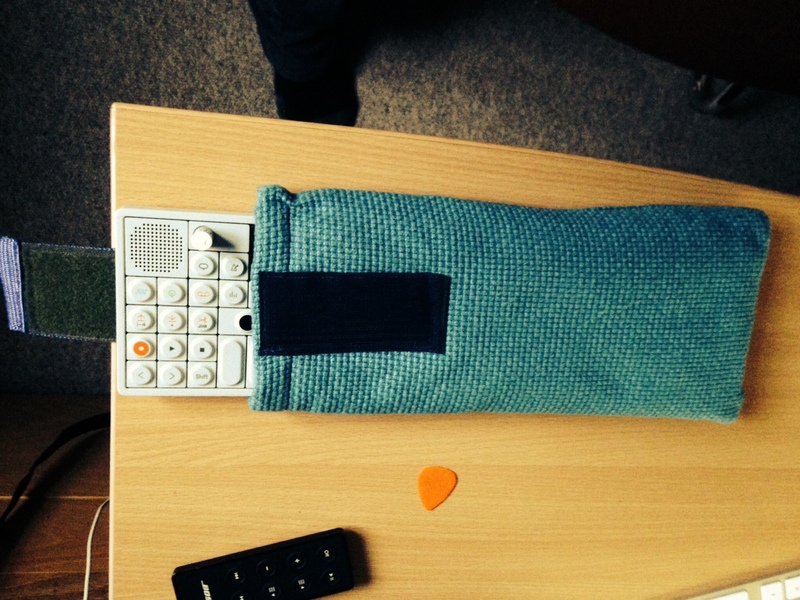 So then after an hour of frantic sewing machine action, she made me a custom bag for my OP-1 which is just perfect!